Here is a fact about the gender gap in A-levels. Boys were 90% of Computing, 79% of Physics and 73% of Maths A-level students. Girls were 90% of the performing arts and 76% of the English Literature students. The best paid jobs created in the past two decades are in finance and tech. Both often require Maths and Physics A-levels, and Computing is helpful. Now, normally nobody forces a young person to take a particular A-level. They are choices. So there is an argument that the gender gap in A-level choices helps to explain the gender pay gap, in addition to discrimination. We should look instead at why the gender gap in A-level choices exists. Have I said anything controversial there? I don’t think so. But I would have been fired had I said it whilst a Google employee. 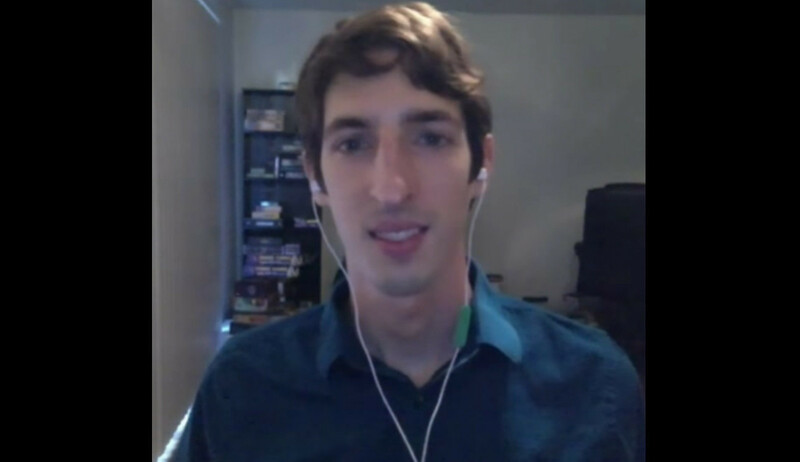 Voltaire said “I detest what you say, but I will defend to the death your right to say it.” He did NOT say “I haven’t read or listened to nor understood what you say, but I will take away your livelihood for saying it.” Yet that is what happened to James Damore, the Google employee who wrote an internal memo challenging the theory behind (NOT, note, the existence of), his company’s diversity policy. Sometimes, things happen in our world that make me truly fear for our democracy (of which free speech is a massive part). The treatment of Damore is one of those things. This is not about whether Damore was wrong or right. Unlike many people who have seen fit to comment on this issue, the reason it has take me a few weeks to write this is because I have taken the time to not only read his memo (you can read it here), but read the scientific papers he cites. He is guilty of just as much confirmation bias as the people on the left that he accuses of doing the same. He picks out data and conclusions that suit his argument without context or nuance. His inability to distinguish between cause and effect further weakens his arguments. But that is my point. He has an argument, and can and should be debated with. Not fired. Damore doesn’t deny that discrimination exists, nor that it has existed in the past. What he does is argue that there are other reasons for the gender pay gap at Google. The highest paid people there are the leaders and also the software engineers who create the companies famed algorithm that makes its search engine so effective and keeps the company ahead of enterprising people who think they can game its system. Damore argues that the type of person who would want the type of job that software engineers have (he believes software engineers are interested in ‘things’ more than people) or achieve leadership position (he believes you need a craving for status and comfort with long hours) are MORE LIKELY to be male. At no point does Damore talk about ‘all’ women when he writes, he is is talking about men and women ‘in aggregate’. A simple illustration of the difference is this: On average, women in the UK are five inches shorter than men. But that doesn’t mean all women in the UK are shorter than men. A telling sign someone is writing about Damore’s memo without reading it is that they are claiming he is talking about all women and naming individual anecdotes about where he is wrong. No need for that. Something even more interesting happens when you watch videos of Damore being interviewed (click here and here). Damore seems to me to be quite typical of those software engineers I met and managed for a few years in my former career in IT consultancy. High Maths ability with moderate verbal ability, he has an unusually abrupt speaking manner, an unchanging facial expression, and in his memo he seems extremely unaware of the social impact his words would have: “I’ve heard several calls for increased empathy on diversity issues. While I strongly support trying to understand how and why people think the way they do . . . being emotionally unengaged helps us better reason about the facts.” He seems to me, and to others (click here) to be just the type of asocial geek on the high-functioning end of the autism spectrum, a condition four times more common among males — that finds a welcome in the engineering departments of Silicon Valley. He goes onto explain that he wants an ‘open and honest discussion’ about his view, having studied the science and data that he has, that attempts to create a 50-50 male-female split in software engineering takes no account of population level differences in distributions. If you are on the high-functioning end of the autism spectrum, science and data will really matter, far more than the social and political impact of what you are saying. Damore argues that the problem will never be solved without this open and honest discussion. But the thought police that currently infest too many attempts to debate issues both in the UK and the USA aren’t interested in open and honest discussion when the far more fashionable view that an offensive proposition is wrong and must be punished is so much easier and popular. I would go as far as to say that those who called for and won the removal of a valued job from someone whose opinion they didn’t like they actually advanced his case. When you choose censorship as your substantive argument, you lose the debate. You haven’t shut down a bad idea, but given it credence by adding the power of martyrdom. No-one is any the wiser about how to create pay equality at Google, because instead of debating, discussing and coming up with answers, someone was silenced. I am a bit shocked by the idea that women are shorter than men, do they also have smaller heads? Thanks for the fair article. I haven’t found many of articles like this when I search on Google’s search engine. I welcome any comments – whether you agree with me or not! The West is becoming more and more like the old USSR or North Korea. If you watch this video you will see what I mean. No-one is allowed to think for themselves; all thinking is instilled by the State. Unless we kick this ridiculous bias against anyone who does not agree with your opinion we will end up with a terrible and miserable way of life where the government controls us all.